The worldwide genealogical community has a huge spectrum of interests and objectives that almost defy any attempt at generalization. If you were to look at the demographics of the entire community, you would find people at almost any age, economic status or educational level involved. However, the online community, for many years now, has been composed primarily of women who are 55 years of age or older, have no children at home and who have at least a university of college degree. In fact, an appreciable percentage of the total genealogical community population have advanced university degrees. For example, only 13 or so of the over 73 bloggers who were Ambassadors at RootsTech 2016 were male. Now, these observations have little to do with the subject of this post, but they do point out that when I discuss "genealogy" or when anyone talks about "family history" or "genealogy" they are addressing an undefined category of people who are involved in a loosely defined activity that includes everything from a highly technical subject such as DNA testing to the randomly defined activity of preserving stories and memories. We define genealogy so broadly that almost any activity is now defined as "genealogy." I just watched the first episode of an online TV show called the "Relative Race" on BYUTV.org. The idea of the show was that four teams of contestants race by driving from San Francisco to New York in 10 days with the goals of finding unknown relatives, completing challenges and avoiding elimination for a prize of $25,000. So this is genealogy in reality TV? The only thing these people had in common was a DNA test from Ancestry.com that showed they were related to the people they were supposed to find. I am afraid that my idea of a "reality" program about genealogy would feature me sitting in front of a microfilm reader for four hours. However, this would not likely draw a sponsor or a $25,000 prize. Let me try a definition of genealogy. Genealogy is the activity of identifying family relationships. Hmm. I think that probably includes DNA testing, but I am not sure it includes preserving stories and photos. Let me try again. Genealogy is the activity of identifying, documenting and preserving family relationships. Hmm. Do we exclude dogs and horses? OK, so here is another try. Genealogy is the activity of identifying, documenting and preserving human family relationships. Now I am troubled with the term "human family relationships." Presently, we are in the process of redefining the term "family" to include people who have no blood relationships and include a variety of animals and even plants. I am not sure if the modifier "human" excludes the animals and plants. Considering that many DNA tests include a percentage of genes from Neanderthal ancestors, I think we have a rather broad definition of "human" already. Why not include animals and plants? Now that I think about it. I am bothered by the word "relationships." I am looking at a program called "Relative Finder" and I just discovered I am a 10th cousin 2 times removed to Winston Leonard Spencer-Churchill and an 11th cousin 6 times removed to William Clark of Lewis and Clark fame. What is an 11th cousin 6 times removed? If we are related to every human (???) on the planet then what is the point of doing genealogy. Why not just compile a "genealogy directory" that includes every person who ever lived and let the computer calculate how we are all related? I am very well acquainted with the process of "extraction" as a "valid" genealogical process. This common practice among some genealogists addresses the problem of determining relationships in certain communities and makes the unsupported assumption that everyone with the same or similar surname in a community is somehow related. My great-grandmother collected every person in England and the United States she could find with the surname of "Linton" and spent her life trying prove how they were all related. She would have been overjoyed to have a technique such as DNA or the Relative Finder program to show her quickly that she really was related to all these people, if you just go back far enough in time. As I have mentioned many times in the past, I have a version of my pedigree in MyHeritage.com. Presently, I have over 100,000 smart matches. This means that there are people in my family tree that match people in other MyHeritage.com members with over 100,000 such correspondences. If I were going to participate in a TV reality show, such as Relative Race, I suppose I could drive anywhere in the country, randomly stop at a town and probably find a relative in a matter of a few minutes. I wouldn't even need DNA testing to do this. If I added in DNA testing, I could probably stop the next person I saw on the street and we would be related. This would be true if you believe all of my relatives who trace their pedigrees back to Adam. Hmm. I just thought of something. Are the Neanderthal relatives I have related to Adam? I do find from Relative Finder that I am a 10th cousin 6 times removed to Charles Robert Darwin. Now another thought. Are all my Facebook friends now considered by "relatives?" If so, I could just friend the entire world and be finished with my genealogy. Wait a minute. Facebook is genealogy. I am sure there were a couple of classes at RootsTech that taught people about Facebook and genealogy. So, when I am reading about the latest cute cat photos on Facebook, I am really doing my genealogy. Wow, that sure simplifies my life. I can go back to Saturday morning cartoons and comic books. So here goes another definition of genealogy. Genealogy is any activity that has anything to do with anyone who is or is not defined as human and who could possibly be related, even if such relationships cannot be proved or even theoretically postulated. Does that definition take into account that I am a 15th cousin 3 times removed to James Maitland Stewart, the movie star? Probably. Because we are investigating our ancestral families, genealogists (family historians) begin by accumulating a lot of names. In our present computerized online world, a neophyte researcher can simply tap into one of many relative's family trees and start copying off names, dates and places. Those with a little bit of time and/or money to spend can expand by benefiting from the automatic record matches and suggested relatives accumulated by the larger online genealogical database program that host family trees. Most recently, some of these programs provide the new user with an instant set of relatives. I am certain that many, if not most of those casually involved in the greater genealogical community, never get much beyond the copy stage. I probably spent about my first fifteen years of accumulating names on family group records in this category. Eventually, the combined weight of the contradictory and incomplete information I had accumulated motivated me to move into the second stage of attempting to sort out what could and could not be verified. As I worked through relationship problems that turned out to be more and more complicated, I was further motivated to learn about what I was doing. Now, I could have passed through these two stages in my genealogical development much faster or started much earlier, but each of us seems to have our own unique pathway to becoming involved in our own family history and very few of those who start out keep learning and adapting to the developing conditions, especially the technology. In living through these changes, I realize completely that some people have inherited much more information about their families than others. Some people struggle to find their birth parents and never get beyond that stage. Some people never make the transition past an immigrant and focus on adding more information about the few family members they do identify, but most of the world find that their pool of potential ancestors and relatives continues without end. Finding your birth mother or father can be as much or more of a challenge than extending your pedigree into the 1700s or 1600s. We all have our challenges in identifying and documenting our ancestry. Some people begin their research and find out for the first time that they were adopted. The size of the pedigree is no real measure of the difficulty of the challenge. This is the bare beginnings of an interest in genealogy or family history. This is where the beginner starts to become aware that they are related to a vast web of people both living and dead who are mostly unknown. The main focus at this point is accumulating a lot of names. If you ask someone in this stage to tell you about their family, they will likely relate to one or more ancestors but have little awareness or knowledge about their relationships to more immediate family members. They may rely primarily on an online family tree accumulated by relatives they don't really know. Eventually, if the beginner gets involved in examining the information they have accumulated, they begin to notice that all is not well. They start to find that much of the information is contradictory or even impossible. Some dates and places don't correspond with reality. This is either so disturbing that they abandon the pursuit or they start to wonder how they can correct all these apparent issues and find the missing people. The researcher moves into this stage when they start to look for documents to find the people rather than search for people. This stage begins when the genealogists start to understand that they are involved with history and that their primary focus should be on documents and records and not merely on names and dates. There is also a beginning awareness that geography matters. The genealogists realize that they are going to spend more time looking for documents than for names. They also become aware of the vast fantasy land of names and dates that has likely accumulated in conjunction with their family, especially if the family has several online family trees. When the research reaches this stage, the search for documents and records has finally impacted the accuracy of all of the researcher's family lines. The information becomes more persuasive and accurate as the research ties the names, dates and places down to real events substantiated by documents and records. At this point, some of the cherished family traditions may begin to look a little less authentic that they were previously. At this point, the genealogist decides to become involved in the genealogical community. Some decide to make it into a business. Others look to the social side and join societies and other organizations. Some become popular presenters and teach and write. Others spend their time with more formal education and certifications. Some stay focused on their own family research and start making real progress in verifying and adding substantial information. These stages are generalities and may not apply to anyone's personal experience. But as we move through the various stages, we find that the research becomes more detailed and requires a cosistently greater effort. The Brigham Young University Family History Library has been broadcasting a series of live webinars from the Library. These webinars are held two or three times a week at different times during the day. The schedule is linked from the main BYU Family History Library website. The Webinar page has a schedule of upcoming webinars and links to the archive copies of past broadcasts. To make the past webinars even more available, the recorded webinars are now being uploaded to the BYU Family History Library YouTube Channel. The image above shows the two newest additions from the webinar archive. You might recall that I indicated that my goal was to upload one new video to the BYU Family History Library YouTube Channel a week. 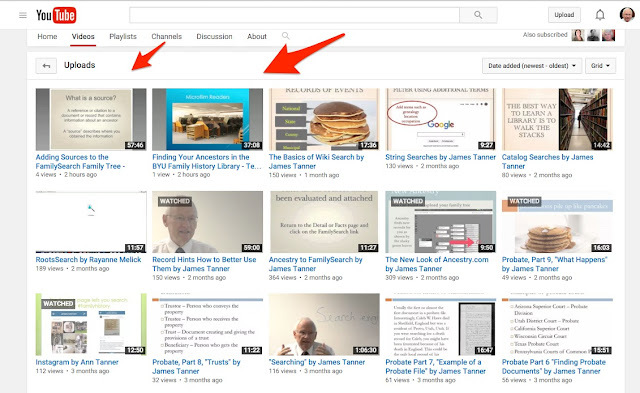 It may appear that I had stopped uploading videos, but in reality, I switched to presenting one or more webinars a week. The Webinar Archive now has nine completed recordings with six of which I presented. You should see new webinars posted almost every few days except when the Library is closed for various reasons such as semester break etc. All the court records in the world are of no use to genealogists unless they are known and available. Once a researcher becomes aware of the existence of a type of documents, the next major issue is whether or not the documents are available and if so, can the researcher access them. Court documents are good example of a class of documents that are really valuable if your ancestors had involvement in court actions and not much use if they did not. The challenge with this class of documents is the same: you may not know if your ancestor was involved in a court action unless you search the records. The general rule concerning all types of genealogical research is that you must always assume that the documents concerning your ancestors are always there. To believe otherwise would defeat the entire reason for doing research in the first place. The main consideration with court records is that your ancestors could have participated in a court action, from a lawsuit, to an adoption to a naturalization to a probate or any other type of action, from anyplace and at anytime in the entire history of their involvement in America. It may seem simplistic, but you look for court records in the courts where your ancestors may have had contact with a court. This makes things interesting from a research standpoint. To begin, you need to have a basic knowledge about the history of courts in America and particularly during the time period your ancestors were part of that history. In conjunction with a good background in history, you need to be adequately familiar with legal terminology. If you do identify a lawsuit or other court action involving your ancestors, you may need to do even more investigation into the specific terminology that is involved with the type of action. For example, if your ancestor was involved in a probate action, you need to know some basic things about probate to understand what happened with the action in the court. The records that come from the court proceedings do not come with instructions or translations of the very complex terminology involved. Any search for court records should begin online. 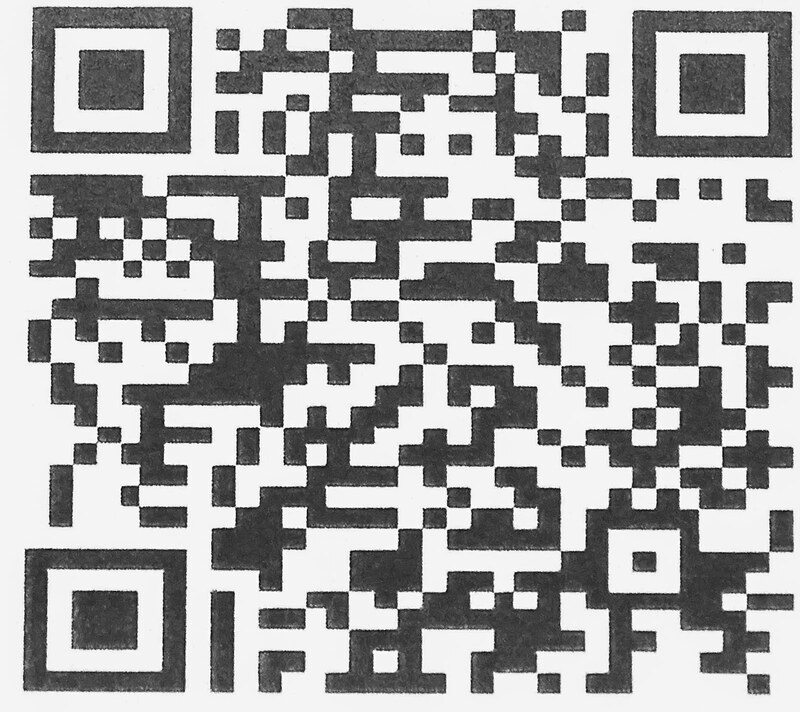 Some courts have all of their records digitized and available. Some of the older records may be in the large online genealogical databases, but don't assume because you have searched genealogical sources that your search is complete. Courts don't preserve their records for the benefit of genealogists. They preserve their records for the legal community, such as lawyers and judges, the records may only be available online through legal channels. You might enlist the help of a friendly attorney to help you understand how to search for the records. On the other hand, you do need to realize that not all attorneys are competent researchers or even know anything about going to court and court records. Most attorneys are specialists in some areas and know little about other parts of the law. Once you have exhausted your online options, you need will need to start at the top and look for federal court cases in the U.S. National Archives Court Records page. You may be interested in state and local records, but you can never know if your ancestors' cases ended up in the federal courts. Even if your ancestor's potential involvement with a court occurred hundreds of years ago, you should begin your investigation with the present-day courts in existence in the place where they lived. Courts are extremely conservative. It is possible that the records have stayed in the same court for a very long time. It is also possible that even if the court no longer has the records, that the someone in the court, usually the clerk of the court, will know if the records have been preserved and where they might be located. It is usually possible to contact the court by telephone or email. Even though contacting the present-day court may not work out, you should not assume automatically that the records are no longer available. I would start at the state level and contact the State Archive or Library. In some states they are the same organization and in other states they are separate. It is also possible that the records were given to a state or local college or university and are sitting in a special collections library somewhere in the state. After all is said and done, court records, once they are transferred out of the control of the originating court or are no longer deemed useful, are exactly like any other records. The records could be sitting in boxes in a court basement or attic. At the other extreme, as I pointed out above, they could also be digitized and online for free. Both extremes are not just possible but likely as are any other disposition of the documents you can imagine. If you talk to someone at the court by telephone or email, you should always ask the question if they are the person who would best be able to answer your question about where the court documents might be located. Don't expect explanations or help from court personnel. They may be "public servants" but they are told over and over again not to give out legal advice to anyone and that often spills over into being rather short. You must also understand that they are not in the business of helping people look for records. If you are not an attorney or a client or someone in the midst of a law action, you are not really considered to be someone who should be in the courthouse. If you go to visit a courthouse, you need to know that many courthouses in the United States today have extensive security systems and you may have to remove a coat, belt or shoes or both to get into the courthouse. Also anything you carry into the courthouse will be subject to a search. Once you are in a courthouse, the people to talk to work for the Clerk of the Court. This might be one person or a whole department. Judges or other court personnel may or may not know where the records are kept, but it is not their job to help you. In all this, it helps to know what you are looking for. Many courts maintain extensive indexes of their court actions and you might want to search for an index either online or at the courthouse. While you are at a courthouse, don't forget to search land and property records, water records, and any other records they might have available. It doesn't hurt to ask. The MyHeritage.com Record Detective™ II, technology is a major rework of the original Record Detective technology introduced about three years ago. As is expressed by the MyHeritage.com blog post entitled, "Introducing Record Detective II,"
This powerful new technology has yielded a staggering number of 2.2 additional billion matches. Record Detective™ II provides new information and clues to take your family history research to newer heights. It does all this without sacrificing accuracy. The blog also explains how the older technology worked and what what changed with the introduction of the new version. Previously, Record Detective™ used transitivity: if record A was matched by person B in a family tree, and person B matched person C in another family tree, and person C matched record D, then records A and D were considered matches and the Record Detective™ pointed from each one of them to the other. This allowed magical discoveries, for example, a birth record could point at a newspaper article about the wedding of the same person! This simulates advanced deductions that previously only a human genealogist could make, as the birth record doesn't even name the person that our protagonist would eventually marry. However, this power came with a limitation: the Record Detective™ was only able to find information when there was at least one family tree profile on MyHeritage matching the record, and the existence of such a profile on MyHeritage isn't guaranteed: about half the historical records on MyHeritage do not have a matching family tree profile yet. The net effect of this technology is that when you click on and view a Record Match, within a few seconds the program will provide icons indicating that additional Record Detective hints are available. What this essentially means to me is that I will have many more opportunities to find information about my ancestors that before. The blog post has a number of examples of the types of records that could be located and made available by this new technology. You may wish to review the entire post. In order for a genealogical researcher to adequately evaluate court records it is necessary to understand some of the terminology. This is accomplished by taking the time to look up any words or phrases not understood in the readily available legal dictionaries. Learning about the law has a lot in common with learning a foreign language. You cannot avoid dictionaries or word lists. The basic resource for defining legal terms is the Black's Law Dictionary first published back in 1891. We are presently into the 10th Edition. In almost all cases, genealogists do not need the latest edition of the dictionary, any one of the previous editions will work just fine. Almost any attorney, particularly those who are involved in going to court, have a copy of Black's Law Dictionary readily available or now uses the online sources such as TheLawDictionary.org. That said, there is also a need for genealogical researchers to understand some of the basics of court procedures for both civil and criminal cases. For this reason, I decided to write an outline of two "typical" law cases; one civil and one criminal. Before I begin with the summary, I should note that there are an almost endless list of possible pleadings (documents written by attorneys) that can be filed with any court. The type of document filed is only limited by the imagination of the attorneys involved and loosely by the Rules of Procedure whether civil or criminal. What I am attempting here is to supply a general outline not an exhaustive list of all possible pleadings. Civil law, as opposed to criminal law, is aimed at resolving issues that do not deal with criminal activity as defined by the criminal laws (code) of the country involved. My examples apply to only the United States. Every other country has its own laws and procedures. Civil lawsuits are basically claims for monetary damages or some other defined relief from a court of law. A civil complaint is a document filed or given to a court in which the complaining party, the plaintiff, alleges the facts that entitle the plaintiff (or plaintiffs) to some kind of relief, usually payment of an amount of money. It is the nature of our form of law in the United States that civil law cases are primarily claims for money damages. The objective of a lawsuit is to determine whether or not the monetary relief requested by the Plaintiff is warranted and then issue a judgment or award against the opposing party or parties known as the defendant or defendants. From here on, to simplify this explanation, I will use the singular forms of all of the party designations but understand that they can apply to any number of plaintiffs or defendants. Before a lawsuit is filed, it is customary to do an initial review of the sufficiency of the cause of action. In other words, there has to be a determination of whether or not the plaintiff's claim is one that is allowed by the law. This is one of the most complex parts of any type of litigation. If the case is worth pursuing, the plaintiff or his or her attorney, files a complaint, that is a document setting forth the nature and basis for the plaintiff's claims. The "filing" of a complaint consists in delivering a copy to the court that will consider the action and complies with the rules of procedure of that court for filing such documents. The complaint is then formally delivered to the defendant by very specific procedures referred to as "service of process." There are professional process servers who are trained to deliver complaints and other documents in accordance with the rules and procedures established in the particular court where the complaint is filed. Once the defendant has been served with the complaint, they have a certain amount of time to answer or respond. The defendant can file a motion or an answer. The defendant's motion may allege that the complaint is somehow legally defective and should be dismissed. The name of this type of document has changed over the years. Originally this motion was called a demurrer. Now it is more commonly called a motion to dismiss. The motion to dismiss asks the court (judge) to dismiss the complaint because even if the facts alleged are true, the plaintiff has not stated a claim upon which relief can be granted. Assuming the motion to dismiss is denied after all of the subsequent responsive pleadings have been filed and considered, the defendant has to file and answer to the complaint. Obviously, if there is no motion to dismiss, the defendant has to file the answer. If the defendant fails to answer, the plaintiff may eventually be granted a judgement against the defendant by default. In fact, if either party fails to file the appropriate documents or pleadings with the court as set forth in the rules of procedure, in some cases, the court can dismiss the entire action. Once an answer has been filed, the parties conduct discovery. This is a formal way of determining the differences between the claims made by the plaintiff and the defenses raised by the defendant. Discovery may include written interrogatories or lists of formal questions or oral testimony in the form of sworn oral questions and answers similar to those that are done in a trial. The discovery process can be short and simple or very long and detailed. Once the parties have been given the time to do their discovery, one or both of the parties requests that the matter be set for trial and the court orders the case to trial and sets a date. There are a lot of other motions that can be filed. One commonly filed motion is a Motion for Summary Judgement. This motion outlines the law and argues that even if the plaintiff's views of the facts are considered to be true, the plaintiff is not entitled to recover any money because of some legal arguments. Many cases end with the decision of a court on a motion for summary judgement. Before a trial is set, both parties need to decide whether or not they want a trial by jury or one to the court where the judge alone decides the issues of the case. In the United States some cases require a jury and some do not. In most cases, except for cases involving very small amounts of money, the parties have a right to a trial by jury. In reality, very few cases go to a jury trial because of the time and costs associated. The trial is then conducted either to the court or to the jury and a decision is made called a ruling by the judge or verdict by the jury. This ruling or verdict is then incorporated into a formal written judgement and that is the end of the trial. At this point the plaintiff is left to try and get the defendant to pay the judgment amount. The court can also determine if one party or the other is entitled to have the other party pay the attorneys' fees incurred. This may be part of the trial or a separate request from either party. If the judgment is in favor of the defendant, in some cases, the defendant may be entitled to the payment of attorneys' fees from the plaintiff. As you can probably see, conducting a trial can be a very complex matter. During my long years of legal practice, I was in court thousands of times and even after years of law practice the procedures and rules of the courts were difficult and complex. Compared to the complexity and variable nature of the civil lawsuit, criminal lawsuits filed by the state or federal government are procedurally much less complicated and repetitious. There are a limited number of variations in vast majority of criminal actions except when the criminals are very notorious or the crimes particularly newsworthy. In addition, everything that happens in a criminal case is subject to time limits imposed by the laws and procedures of the United States. Even then, the actions follow a very specific set of procedures and rules. Bear in mind, just as with a civil action, the number and type of pleadings that can be filed are only limited by the imagination of the attorneys involved. But with criminal cases the options available to the attorneys are more limited. For purposes of simplicity, I will assume that a crime has been committed. The first step, of course, is that some law enforcement agency must investigate the crime. If it is possible to determine who committed the crime, the suspect (or suspects, but I will use the singular for simplicity) is then arrested and either detained in a jail or released upon the payment of a bond called a bail bond. The prosecutor, usually a county attorney or district attorney or other official, has a specific time period to file a complaint or indictment. In some cases, the allegations of criminal activity are presented to a "grand jury." This is specified group of people who are selected to hear and decide whether or not a crime has been committed and whether or not there is sufficient evidence to arrest someone for the crime. If the grand jury makes that determination then an indictment is issued. If the prosecuting attorney makes that determination, then there is an information (or complaint) filed with the court and in either case an arrest warrant is issued by a judge. Then we are back to the accused sitting in jail or out on bond. Within a specified time after arrest, the defendant or accused is entitled to an initial appearance. The judge must make an initial determination that crime has been committed and that there is probable cause that the defendant or accused committed the crime. If there is no probable cause, then the defendant is released and charges are dropped. If the judge finds probably cause, then the accused is bound over for trial. While the case is waiting to be heard in a trial, the attorneys involved can conduct discovery to see what they other side has as evidence or defenses. The court may set a series of status hearings on the case to make sure the case is proceeding according to the time limits set by the rules of criminal procedure and the laws. Once the case is set for trial, in most serious criminal cases, the defendant is entitled to a trial by jury. Most of the time, the defendants routinely waive or release their right to a jury trial. At any time, the prosecuting authority (always the state or federal government) can negotiate a settlement usually called a plea agreement. This usually cuts the action short and resolves the case either with or without a trial. At the trial evidence is presented by the prosecutor to convince the judge or jury that the accused committed the crime. In the Unites States the accused my present evidence from documents or witnesses but does not have to personally testify if they do not deem it advisable. The burden is always on the prosecutor to prove the case at a level of proof according to the severity of the accusations. The highest level of proof is that of proving the accused committed the crime beyond a reasonable doubt. If the accused is convicted and is guilty at trial, the court imposes a sentence at a subsequent hearing. If the accused enters into a plea agreement, the court still holds a sentencing hearing. If the accused is adjudged guilty then the accused pays the fine or go to jail or prison. If the verdict is not guilty, then the accused is set free. These are the general patterns of civil and criminal actions in the United States. Of course, my explanation is highly simplified. Every type of court and every type of action has its own peculiar rules and law. For example, domestic relations cases are vastly different than personal injury cases and so forth. Genealogists are faced with task of understanding the proceedings at least to the point that they can accurately determine what happened in the court and how much of the information is useful for genealogical research. There are two major types of complexity: complexity of numbers and complexity of concepts. There are also different areas of study that are labeled with the term "complexity." One common usage of the term "complexity theory" is used in computer science in the area of computational complexity theory that focuses on defining the classes of complex computational problems and developing organizational solutions through assigning problem solving algorithms. A type of complexity theory is also used in organizations and is also called complexity strategy and is used in strategic management and organizational studies. Genealogical research is a complex activity on both levels of complexity. On one hand, genealogists are faced with the reality of an exponential growth in the number of their potential ancestors. Although the reality is that due to intermarriage among any person's ancestors (pedigree collapse) that the theoretical number is never actually reached, the number of ancestors and their potential descendants can be very large and much larger than any one person can comprehend. At the other end of the complexity spectrum, genealogists also face complexity in the number and types of records used to research relationships. This is not just a complexity of the number of records, but also the difficulty in obtaining, reading, evaluating and extracting information from records that are almost chaotic in nature. Historically, very few genealogical researchers reached the level of involvement with their research to become embroiled in complexity issues. However using today's online tools coupled with the vast increase in the availability of digitized records, a genealogist can easily be catapulted into a complexity unimaginable just a few year ago. Traditional genealogical organizational systems based on color coding, filing systems, notebooks and research logs fail to address the basic issues and in most cases, simply add more complexity. In my experience, most researchers avoid the problem of confronting the overall complexity of genealogical research by ignoring the problem and focusing on a tiny part of their pedigree. You will hear comments such as "I am working on such and such a line" that indicate that the researcher is avoiding the complexity issues. Even if a researcher focuses on a single line, the complexity is still there. Every generation on that line is also subject to the ever present geometric increase complicated by the natural decline in the availability of records as we move further into the past. Ultimately, the researcher is faced with the inevitable "end of line" or so-called "brick wall" problems when the difficulty in finding records exceeds the researcher's resources. All the time this is happening today, the researcher is being bombarded with messages from various sources extolling the virtues of this or that software product or system that will "solve' the problems and make them go away. This is partially supposed to be solved by collaborating with other members of the researcher's family who are, for the most part, entirely clueless about the problems faced by the researcher and usually uninteresting solving them. Let me give one example at this point. Many of the newer strategies from the large, online genealogically database programs involve automated systems of supplying source records suggested by complex algorithms. These records are directed at the computational complexity of handling billions of records and billions of people in the largest of these online resources. The effect of these programs is to move more people faster into the realm of complexity. Instead of starting with a few manageable ancestors, the neophyte is faced with hundreds of potential ancestors long before they have the mental tools to handle the complexity both of record evaluation and sheer numbers. At the same the time they are being told that genealogical research or even genealogy is no longer necessary. The reality of the online record hinting programs is that they break down in exactly the same places that the competent researchers have reached in their approaches to the problems. I do not find "record hints" for those people I am really most interested in researching. The main advantage of the record hinting technologies is to add more names or complexity to the more recent ancestral lines. For example, I have literally thousands of potential record hints from several large online database companies. If I focus on one of my "end of line" situations developed over years of research, I almost immediately find that there are no more record hints for the people I am researching. The algorithms have no more resources than those I have already been able to research. The computers cannot go out into the world and find records that their owners have not already incorporated into their databases. If the records are not there, they are not there and all the computer power in the world cannot solve the problem and I am back to my traditional methods of doing research. In other words, the complexity of the ultimate genealogical research problems still exceed any existing algorithmic solutions. What the programs do is to increase the numerical complexity faced by the researcher by automatically adding records that the researcher would have traditionally ignored or avoided. Meanwhile to add to the complexity, we have an additional wave of people who are not really interested in or educated in genealogy per se, but now have access to tools that supply a seeming endless number of "sources" and "names" to add to the monumentally large online family tree structures. We also have an emphasis on quasi-scientific "advances" such a DNA research that add yet another level of complexity by indicating previously unknown potential relationships. Those who request DNA tests do so, in almost all cases, without any of the research tools they need to pursue the information they receive from the tests. What is needed? First and foremost, those who are attempting to resolve this complexity should try to avoid marginalizing and preventing the genealogists who have the education and sophistication from doing their research. There is nothing wrong at all from encouraging someone without any involvement in "family history" from beginning to accumulate a pedigree but this should not be done by denigrating the efforts of those who created the the original organizational structure. The ease at which most people can discover their first few generations of ancestry should not be held as the norm because of the complexity that this initial research generates as those same people attempt to move back in each succeeding generation. Genealogy has moved into the mainstream of those major areas that confront different levels of complexity. The noise level in the entire genealogical system is rising to almost impossible levels. To paraphrase John Donne, no one individual is an island in genealogy. We are all ultimately related and this level of complexity cannot be ignored with impunity. If genealogy were being analyzed by systems engineers in same way any other data transmission system was being analyzed, then the engineers would be seeing an unacceptable level of noise interfering with the operation of the system. Right now, the record hints, emphasis on the ease of adding sources and records, the DNA tests, the invitation to neophytes to work on complex problems without understanding the issues and many other factors have raised the noise level of the system to the point where is is nearing a breakdown. We need to address the organization of the entire system from a complexity standpoint and stop treating it as if we were all working on separate, independent simple, easy and fun issues. So, take some time to watch Ben Bennet, Executive Vice President with his energetic introduction of this new partnership and the impact of the new marriage records. You might miss the point of this video the first time you view it and get caught up in the stories and images. This is an example of how MyHeritage.com employs its innovative technology to create a unique "genealogy" experience. Both of the included videos show the highly personal effects of the MyHeritage.com program that marries stories and lineage in way that is immediate and specific. MyHeritage.com is working to address the specific needs of those who are investigating their families and provide the tools and technology to push the limits of the present genealogical experience. There is no question that the huge volume of courts records in the United States is a valuable source of genealogical information. The basic question is how are these records organized and where can they be found. If we start by talking about the highest courts of the state, the state supreme courts, then the records are easily found and generally available. The other court records are less easily located and searched. Genealogists may pass through several stages in their research. At the most basic level, genealogists are easily frustrated because the records they seek are not immediately available online in an organized website. A good example is the existence of the United States Federal Census Records. Historically, the U.S. Census was entirely paper-based. To examine a copy of the Census records that were preserved, you had to visit the National Archives in Washington, D.C. or consult one of the duplicate paper copies maintained by the states if there was one. Beginning in the 1930s, the federal government began microfilming some of their records. Microfilm copies of the U.S. Census records became available and the Genealogical Society of Utah, for example, obtained a copy of the records then in existence. Most genealogists become aware that the nearly all of the records of the 1890 U.S. Census were lost. The commonly told story is that the records burned in a fire. However, only a small percentage of these records actually burned, most were simply destroyed by the government because of a failure to appropriate funds for their preservation. Whatever the reason, government records, including court records may or may not be readily available. As genealogists become more sophisticated and experienced, they begin to realize that most records are not easily obtained. Many records still exist only as paper copies in their original repositories. For court records, this means that the original court records are sitting in file cabinets or boxes in the court buildings around the country. Depending on the custodians of any particular records, they may be organized and easily accessible or disorganized and stored in basements and attics. Obviously, there is a general country-wide movement to digitize and preserve all sorts of records. In some states, many of the court records are readily available online. In other states, the availability is determined by the individual counties or courts involved. Any list of available court records would be changing daily. Any mention of the need to research court records needs to confront the issue of "Burned Counties." 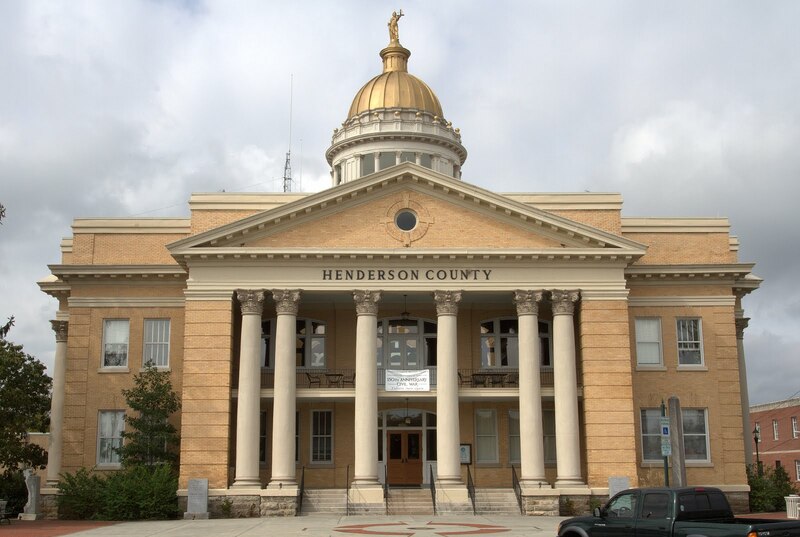 This term refers to the propensity of county court houses to be destroyed by fires or other calamities. If you have heard a family tradition that "all of our family records were destroyed in a courthouse fire" you are the victim of a cruel hoax. First of all, there is no way all of the records of a particular family could have been destroyed if a courthouse burned down. In addition, many of the records that were destroyed in those fires have been reconstructed. But there is a reality that some records, principally court records have been lost. To begin investigating if some of your own important records may have been lost, see the FamilySearch.org Research Wiki article, "Burned Counties Research." You may also wish to consult the website, "Random Acts of Genealogical Kindness." So, I will start at the highest state court level and move downward explaining where each type of record can be found. State supreme courts are "courts of record." This means that the decisions of the judges are recorded and published. Each state in the United States maintains its own supreme court records in a series of books called the state reports. Volumes of the individual state reports are accumulated and for many years have been published by the West Publishing Company. All of these reports have been digitized from the printed copies and are available on two large commercial, subscription websites, WestLaw.com and LexisNexis.com. In many cases, access to these websites may be available in a local law library or even some larger public libraries. These are extremely expensive websites and some law firms also have subscriptions but severely limit use to non-lawyers. You might also try a library associated with a law school. For example, the Brigham Young University, J. Reuben Clark Law School, Howard W. Hunter Law Library allows patron access to WestLaw.com on a limited basis. What I have found is that some of the state supreme court cases can be found online with free access. All of the states have an intermediary appeals court, usually referred to as a court of appeals. These courts also record the decisions and thought processes of the judges and are courts of record. The accumulated records of these courts from around the United States is preserved in the Court Reporter System. The availability of these records online follows exactly the same pattern as the supreme court records with complete sets of these records on WestLaw.com or LexisNexis.com and some other websites with some of the decisions. Before these cases were digitized, the books were kept by state and local law libraries. The image at the beginning of this article, shows a few of the Pacific Reporter System books. Each of the states are organized into a geographic section and the records are published for each state in that section's books. These old law books no longer have any interest or value to attorneys or anyone else and it is common to see them used in model homes, restaurants and other places to give an atmosphere of educated scholarship. Of course, if you are a lawyer you are not impressed. The state trial courts and all of their divisions and specialized courts are not courts of record. The judges do not have to explain why they decide a case one way or another. This does not mean that there are not extensive records of the court cases. But these records are preserved or not preserved depending on the funding and attitude of the individual courts concerning their records. Some of the states and counties have begun digitizing some or all of their records and making them available online. However, if the court has not digitized its records, then the copies of the court records that have survived are likely sitting in boxes or on shelves where they have been stored by the courts. Locating and obtaining access to these records will often be a major challenge. 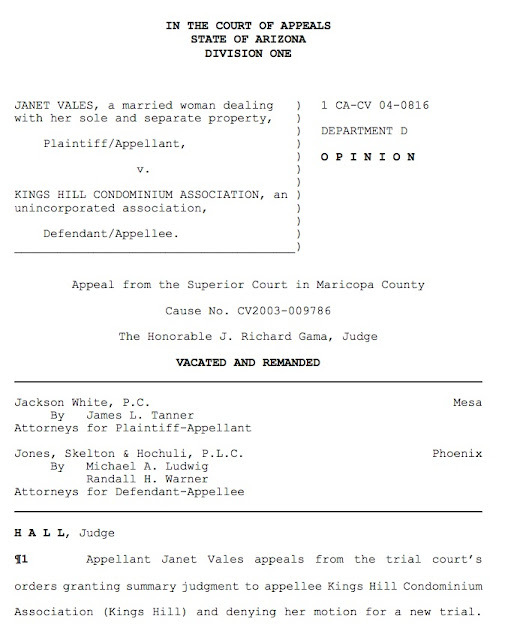 Our court records are maintained in accordance with Rules of the Supreme Court of Arizona, Rule 29. Court Records, subsections (A) and (D). Court records may be destroyed in accordance with approved minimum retention and disposition schedules. Court records include any documentary material, regardless of physical form or characteristic, such as information maintained in a case management system that may be used to reproduce a document and any other case related data, including a photographic or electronic reproduction or image substituted for the original. Records from local or municipal (city) courts are ephemeral. As I mentioned in the previous section, these records might have survived or been destroyed according to the various states and counties schedules for retention. It is always a good idea to look even if you think that the records may have been destroyed. Here are my suggested steps for locating any court records anywhere in the United States or its territories. Assume that your ancestors somehow became involved in the courts. It was not as uncommon as you might think that your ancestors had to go to court for some reason or another. Begin my searching for the names, including any variations of the names, of all of your ancestors online. If you wish, include a tag for "court case litigation' or something similar. Check the recorded records in the places where your ancestors lived. Court judgments were and are routinely recorded in the counties where the litigants lived so you will find judgements, giving the name of the case and the court, mingled in with lard and property records in the various county recorders offices around the country. Call the court and ask where their records are stored and how far back records have been kept. Check with libraries, archives and any other repository for the state and county where your ancestors lived. If possible, talk to the conservator, archivist or librarian about finding the records. Never give up. Keep looking. Courtroom in Wayne County Courthouse in Wayne, Nebraska. The courthouse was designed in Richardsonian Romanesque style by the architectural firm of Orff & Guilbert, and was built in 1899. It is listed in the National Register of Historic Places. The court system in that part of America that became the United States, began in the colonial period. Although there are some residual laws in the United States that reflect the presence of Spain in America, the state and local court system throughout the country was almost entirely based on the English Court system. For a short outline of the history of the English Court system, see the Courts and Tribunals Judiciary, History of the judiciary. The Citizens of each State shall be entitled to all Privileges and Immunities of Citizens of the several States. As the various states have disagreed about the interpretation of this Clause, ultimately, the United States Supreme Court has made a series of decisions that have clarified and expanded this particular provision. This does not mean that all the states have to have the same laws and court procedures, but they cannot attempt to change or modify the laws in effect in other states. For example, a state cannot pass a criminal provision in one state that would apply only to citizens of the other states or pass a law restricting the travel of citizens from other states, i.e. require passports or visas to enter a state. For genealogists (and attorneys also), the diversity in laws and court procedures between the various states can be very challenging. In fact, attorneys are only allowed to practice law in the states where they are "admitted" by the rules of the courts, to practice. So, even though I was admitted by Arizona Supreme Court to practice in Arizona, I could not practice law in any other state unless I complied with their local rules and was admitted to practice. This makes it very difficult for lawyers to move from one state to another. I only did so after I retired from my own law practice. Notwithstanding the diversity of laws and procedures, court records are extremely valuable for providing insights and information into families from the earliest colonial times. Any explanation of the types of courts in the various states has to either start with the very local courts and follow the court system upward to the various supreme courts or start with the supreme courts and worked down to the lowest courts. Courts can also be classified by their jurisdiction, or ability to decide certain types of cases. Jurisdiction can be limited by the type of cases the courts can decide, the amount of money or property claimed that they can consider or they can be restricted to a certain geographical area. From a genealogical standpoint, both the records that survive from the lower courts (not of record) and the courts of appeal are valuable documents. Many of these cases are completely and freely available online if you search for them. If you are interested, you can find a number of cases I handled by doing a Google search for my name "James L. Tanner" and the works "court appeal" or something similar. Each of the cases in all the states has its own specific citation. 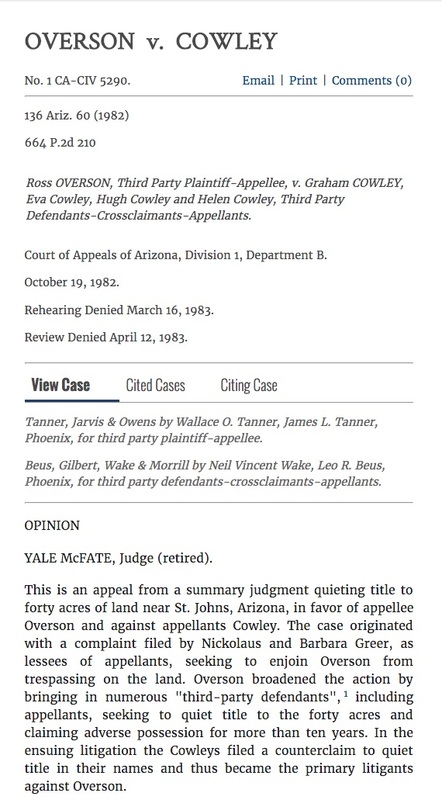 For example, the legal citation for the Overson case is: Overson v. Cowley et al., 136 Ariz. 60, 664 P. 2nd 210 (1982). Most courts have their own conventions for citing cases but they are generally uniform around the entire country. Here is another case as an example. Here are the various levels of courts as commonly found within all of the states. The names of the courts and their specific jurisdictional provisions may change considerably from state to state. These lower courts have their own judges and court personnel sometimes referred to as magistrates. Most states have some local or municipal courts with very limited jurisdiction. For example, a municipal court may only hear or decide cases that involve the violation of city or municipal ordinances such as keeping animals, parking violations, local traffic laws and so forth. If the city or municipality is very large, they may have several divisions of their courts to hear or decide different types of cases. So there may be a dedicated traffic court or there may be a court where only domestic disputes are heard. If a claim or controversy exceeds the jurisdiction of a local court, the can refuse to hear the case and the claimants must file in the next higher court or in the court that has the specific jurisdiction to hear that type of case or determine the amount in controversy. The records of these lower courts may or may not have been preserved. If you have been in a court in the United States, you were most likely to have been in a municipal traffic court. The jurisdiction of these courts is usually limited by geographic area and the amount of the claims allowed. Some of these courts may be limited to claims no larger than $500 for example. In some states, Justice Courts may have jurisdiction over matters where the damages in controversy are as much as $20,000 or more. The judges in these courts are often called "Justices of the Peace." These courts can hear almost any type of matter as long as it does not involve real property issues or exceed the monetary claims. The records from these courts are more usually available than the local or municipal courts. These courts can hear any case or controversy covered by state law however, most of the states have a number of specialized divisions of these courts for specific matters such as probate, juvenile matters, divorce or family matters, and so forth. There is a long list of these divisions in a Wikpedia article entitled, "List of courts of the United States." Most of the courts allow appeals of their decisions to a higher court. For example, if you do not agree with the decision in a Justice Court, you may be able to appeal to the general trial court. But the Appeals courts in each state are those that hear appeals from the general trial courts. These are the courts of record and the decisions of the judges are recorded and maintained in the national reporter system of records. As I already mentioned these are the most easily located of all court decisions. Each of the states has its own state supreme court. These courts are those of last resort. The supreme courts hear cases that are appealed from the rulings of the Appeals courts. They also hear a very limited number of cases that are filed directly in these courts depending on the unique laws of each state. All of these supreme court decisions are also preserved and reported in the national reporter system. Here are a list of resources that give the history and organization of the state and local courts in the United States. Cole, George F, and Christopher E Smith. The American System of Criminal Justice. Belmont, CA: West/Wadsworth, 1998. Kammen, Michael G. “Colonial Court Records and the Study of Early American History: A Bibliographical Review.” The American Historical Review The American Historical Review 70, no. 3 (1965). Konig, David Thomas, William E Nelson, Mass.) Pilgrim Society (Plymouth, Massachusetts, Court of General Sessions (Plymouth County), Massachusetts, and Court of Common Pleas (Plymouth County). Plymouth Court Records, 1686-1859. Wilmington, Del. : M. Glazier, 1978. Plucknett, Theodore Frank Thomas. A Concise History of the Common Law. Boston: Little, Brown, 1956. Rapaport, Diane. New England Court Records: A Research Guide for Genealogists and Historians. Burlington, Mass. : Quill Pen Press, 2006. Sanborn, Melinde Lutz. Ages from Court Records, 1636-1700. Baltimore, MD: Genealogical Pub. Co., 2003. United States, Department of State, and Office of International Information Programs. Outline of the U.S. Legal System. [Washington, D.C.]: Bureau of International Information Programs, U.S. Dept. of State, 2004. White, G. Edward. American Legal History: A Very Short Introduction, 2014.